The perfect warm dip to serve as an appetizer or awesome snack. 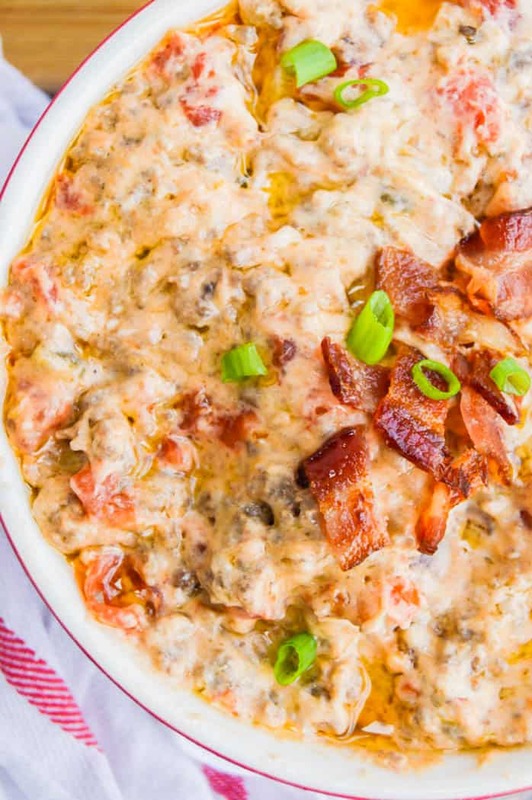 This Bacon Cheeseburger Dip is creamy and cheese and a recipe you are going to love. 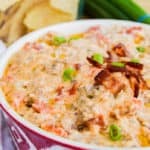 With just 5 simple ingredients you can make this Bacon Cheeseburger Dip on the skillet in less than 20 minutes. I love game day food! My husband is a big football fan so each Sunday afternoon is game day for us. As much as I enjoy the time together watching the game I am really in it for the food I get to make! 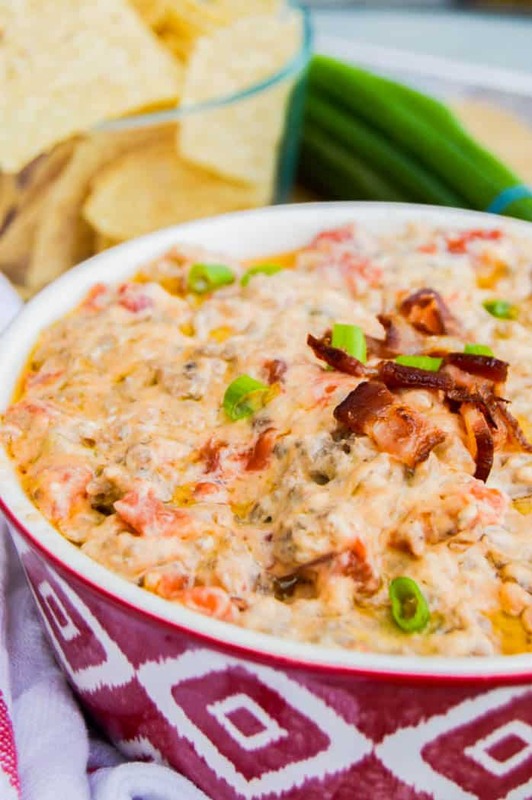 This Bacon Cheeseburger Dip is one of my all-time favorite appetizers for the game! I think appetizers are just a favorite of mine and here are some more for you to check out for the next big game or party at your place. Start by cooking your ground beef in a large skillet. Once cooked drain fat and then return it to the stove. Add your cream cheese and mix it while cooking allowing it to all melt together. Now add you can of Rotel (juice and all) then the shredded cheese. 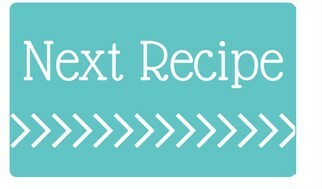 I used real bacon that I cooked for this recipe. 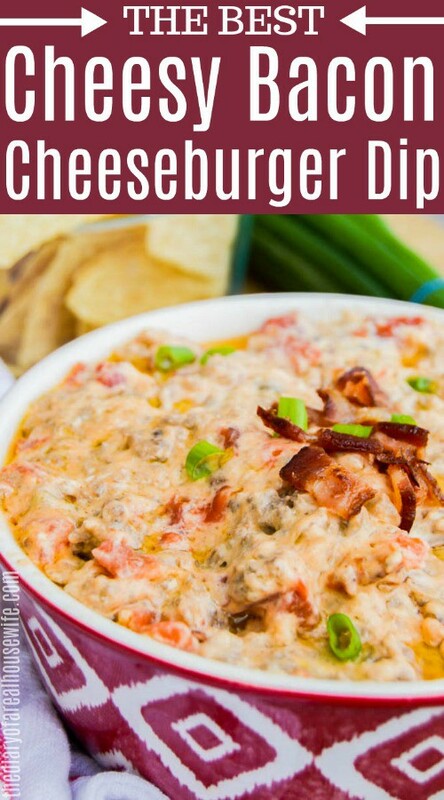 Since I new I would be making this Bacon Cheeseburger Dip I made bacon with our breakfast that morning and then saved some for the recipe. I LOVE making my bacon in the oven. No grease spattering all over my stove and easy to clean up. You can use bacon bits for this recipe and they would work fine, but if you are cooking bacon make sure to check out my Perfect Oven Baked Bacon. Put your cooked bacon in the skillet and once everything is melty and combined you can spoon it into a bowl. I topped mine with more bacon (duh) and green onions. 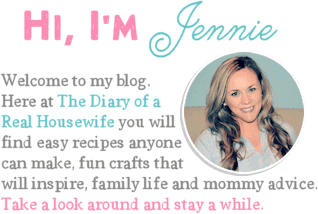 Sausage Cream Cheese Dip: It’s one of my all-time favorite dip recipes. 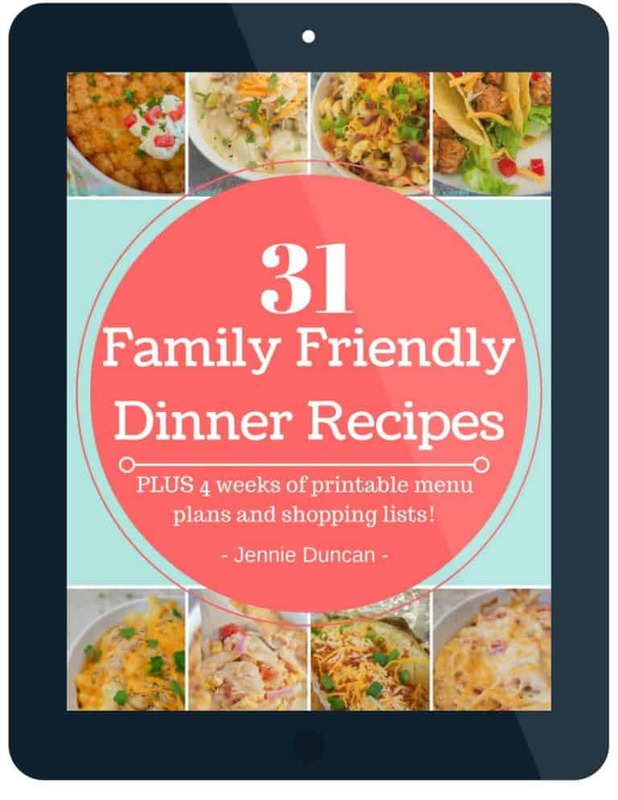 Just three ingredients then it’s time to wow your guests! Cheesy Spinach Dip: The bold taste of sausage and cream cheese makes in this Cheesy Sausage Dip makes the perfect combination. Option for serving: topped with more bacon crumbles and green sliced green onions. Serve with tortilla chips, crackers, for crusty bread. Start by cooking your ground beef in a large skillet. Once cooked drain fat and return to the stove top. Add cream cheese, shredded cheese, Rotel, and bacon crumbles. Cook and stir on medium/low until fully melted and smooth. Serve with your choice of optional serving sides and enjoy. This looks fantastic! Perfect for our fall church pot luck. Thanks! I love this recipe not only because it’s so simple, but also because it’s a hearty enough appetizer that I don’t have to whip up entrees for game day too.